We clearly missed the opportunity for political reform in the November meeting in Dharamsala last year. Now we are getting ready to elect a new Prime Minister in 2011 under the same outdated system Tibet has had for centuries, which does not distinguish between the secular and the religious. Leaving aside the essential question of how effective a Prime or any Minister can be in such a system, people are all getting worked up about the profile of the new Prime Minister: The new person should be “young”, should be “a woman”, should be “educated” and what not. I’m struck though that the primary criteria people seemed to look for in a candidate, was knowledge of how to deal with the West in order to promote the Tibetan cause. I couldn’t disagree more here. The main concentration of our political work in the last 50 years was exactly on lobbying the Western countries to pressure China for concessions on Tibet. This strategy has not worked the way we would have liked to see. We should learn from this and adapt. We should go about solving our problems more directly, without relying too much on third party involvement. It doesn’t mean we should stop lobbying the West, but it’s a strategic mistake to continue to put all our eggs in one basket. Our problem is with China. So first and foremost we need a PM who can deal with China. We need someone who is intimately familiar with China and has the focus on China with everything else flowing from there. It should be someone who is at ease in the Chinese presence, confident enough to deal with them eye-to-eye. China-fit should be our killer criterion. Technically, the PM should be someone who, while firmly rooted in Tibetan culture and with the ability to directly communicate with the people both in- and outside of Tibet, at the same time, has an affinity for Chinese culture, speaks that language with ease and is familiar with that system. 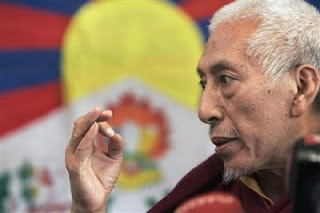 In other words, it has to be a person that is perceived by both the Tibetans and the Chinese government as “one of us”. Just in case this sounds extreme, it really shouldn’t. Because that’s what the middle path boils down to, if we implement it. The middle path says, internally we’re autonomous, externally we’re under China. Fact is more than 75 % of the exile voting populace backed the middle path. So we’d better start to walk the talk and get used to think of ourselves as PRC citizens – Tibetan by ethnicity, but PRC citizens nevertheless. In addition to being “China-fit”, our candidate should also be superior in stature to those no names from the United Front which His Holiness’ envoys have been fobbed off with for the longest time. For there to be real progress, we need to elect someone the Chinese government can take seriously. The people whose names are in discussion as candidates in the phayul forum or on kalontripa.org will do their best and have the sincerest intentions, no shadow of a doubt. But to tell you the truth: No amount of dedication and commitment will replace what has got to be our killer criterion: “China-fit”. You can be the best driver in the whole world. You still won’t win the Monaco Grand Prix if what you’re riding is a truck. So “China-fit” must be our killer criterion. This requirement already disqualifies a lot of the potential candidates whose names are now circulating. For one, it can’t be a member of the Sangha. Looking at it from Chinese side, Lamas are their number one concept of the enemy. Looking at it from the Tibetan side, politics is not a Lama-job either. There is no good reason on either side to appoint a Lama. Next, any of the old boys and girls from the exile establishment: Lodi Gyari, Kelsang Gyaltsen, Dolma Gyari, Bhuchung K. Tsering. Kasur-this-and-that, former Reps etc, are not the right fit either. They live up to the expectations of a large part of the exile-Tibetan constituency (“experienced”, “cultured”, “loyal”, “woman”), but in the Chinese context, they are too much “the Dalai Lama’s messengers”. They don’t have an independent profile or the stature it takes to shape policy and handle China. And, most of all, they all lack the killer criterion as they were brought up too far away from Chinese culture. Even the Harvard lawyer, Dr Lobsang Sangay, won’t do. His work is important and we need good lawyers. But our problem is not legal, it’s political. It cannot be resolved in a court of law. It can only be resolved in the political arena with China and within Chinese law. In the world of Realpolitik, the international legal case is little more than a side-argument. But more important, would this person fulfil the killer criterion? From what I’ve seen and heard, he’s not our man either. Then we have an interesting group of new, younger leaders such as Lhadon Tethong of SFT. I would love to see someone like her as the Tibetan ambassador to North America. She would project a modern, young, gender-neutral, progressive, secular, and open image of our exile administration. If I were Dharamsala I would offer her the job as the Head of the Office of Tibet in that region, and give her the formal authority to boost her excellent PR work. But she’s not the right fit for the PM job. Remember the killer criterion. So who’s left? Don’t we have any China-fit PM candidates who are reminiscent of Sino-Tibetan cultural hybrids like Bapa Phuntsog Wangyal or Gyalo Thondup, but who are not in the wrong camp, not related to the Dalai Lama, and not on the verge of senile decay? At the very least, the new PM should have a higher profile than the incumbent Samdong Tulku. It’s still been the Dalai Lama doing all the touring, meeting all the government leaders and politicians. I bet you nobody even remembers our Prime Minister’s name, let alone is aware we have one. Maybe it’s because the Dalai Lama’s Private Office wants to control everything as Jamyang Norbu suggests in an article. Or it’s because Samdong Rinpoche is a traditional guy who wants the Dalai Lama to control everything. Who knows? Whatever the reason, the political result is a disaster. The question is: Do we want the distribution of power and the working relationship between Dalai Lama and Silön to resemble that of the British Queen and her Prime Minister, or that of Putin and Medvedev? You agree we’re not only way closer to the Russians on this one, but we surpass them by far. I don’t know, have all the Silöns in Tibetan history been limited to managing the Kalons and warming up messages from the Dalai Lama? Have you also wondered what is expected from a contemporary Tibetan Prime Minister? Has anyone seen a job description for the position somewhere? Does the post have any foreign policy relevance at all? When I heard “panel discussion” about the new PM, I thought there would be several people discussing rather than two automats delivering incoherent one-way messages. In the “panel discussion” on phayul.com from 20 June 2009, half of the time is wasted with lecturing the people about the difficult situation in Tibet - as if we didn’t know! The other half is used to explain what the Prime Minister’s job is. But what they failed to do is connect the two parts: No explanation how doing the PM job would improve the difficult situation in Tibet. All the while, Samdong Tulku is wiping his face with a huge orange cloth, looking like he either just got out of or is preparing to go to bed. Sorry, did I just intrude here? Actually the incumbent PM shouldn’t have to say anything about his successor in the first place, but what all these discussions among the expats about the new PM show is not only the alarming shortage of capable leaders in our midst. It’s also showing the fundamental problem in our political system and that is – we all know it inside out - the mix of religion and politics. So in this context, it’s unfair to expect the Prime Minister to fix our problems, when a) there’s someone overpowering at the top who has very clear ideas of where Tibet should go, and b) we have the ingrained habit of looking for implicit approval and endorsement from the top. That’s the way we function. Our biggest problem, even bigger than getting back Tibetan independence, is that we are incapable of emancipating ourselves from divine rule. We just can’t let go of the Dalai Lama, we love him too much. We probably think a terrible karmic revenge would befall us if we politely asked him to withdraw from politics. But as long as we are unable to separate the religious sphere from the secular, it won’t make a difference who we choose as our next Prime Minister, they will all be the same: Ineffective automats with no relevance to the outside world. Look at China: This month they are celebrating 60 years since the foundation of the new China. Whatever faults there are with their system, and the world knows there a lot, but at least they were strong enough to leave the old ways behind and walk new paths as a people. The world including the Tibetans can accuse China of many wrong-doings, but not for inactivity. 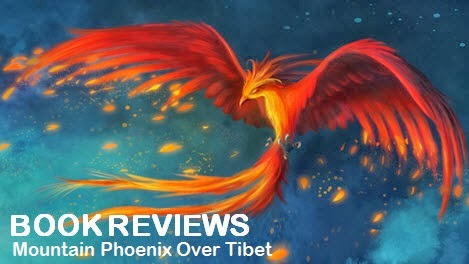 When was the last time that we, the Tibetan people, took destiny into our own hands? I’m afraid we have to go back over a thousand years to find something of similar magnitude in our history: During Langdarma’s reign when Buddhism was almost annihilated in the central areas, it was only due to enormous efforts of the Guge kings Yeshi and Jangchub Ö that a Buddhist renaissance could take place. Where would Tibetan Buddhism be today if the two had not sacrificed so much to get the Indian Atisha Dipamkara to come to Tibet and fix things? We owe these guys big time. Something of this magnitude must now happen on the political level and in our times. Nothing less will do to save us from decline. Whether we get what we want or end up getting what we deserve, will depend on whether we can replicate the boldness, fearlessness, and farsightedness of our forefathers.